Photo courtesy of Tom Nuculovic. Now that’s an extreme makeover! I don’t have enogh cash on me-maybe you could just nick my ear. 10000 yen is only about 10 dollars. 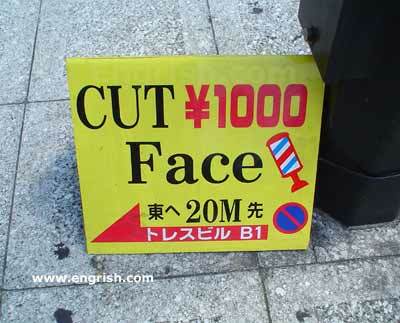 Cut face for ¥1000, eat liver with fava beans for ¥2000.